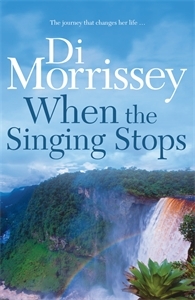 From Sydney's sparkling harbour to the lush rainforests of South America, When the Singing Stops is a triumph from Australia's favourite storyteller with new novel Arcadia out now. A young Australian woman leaves Sydney for a new world... Guyana, South America. Captivated by Guyana's wild, unspoilt beauty, Madison Wright Jones joins the native Amerindians struggling to preserve their culture against corporate exploitation. But her new-found commitment soon plunges Madison into a mire of murder, drug smuggling and political corruption. And finally, an unexpected love that pits her heart against her beliefs.